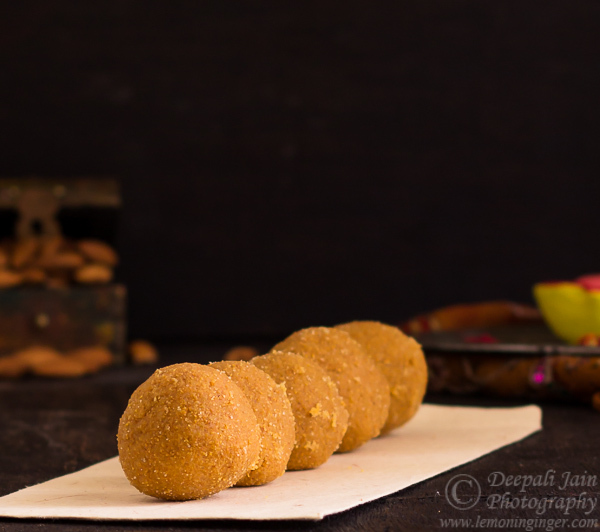 Besan ladoos need no introduction, no background! 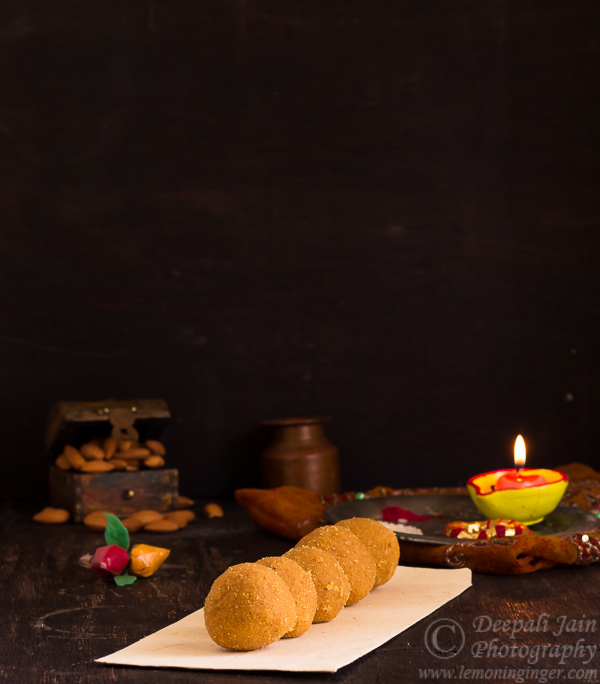 I won’t be far off the mark, when I say that Indians grow up on these ladoos across regions, states and cities. This is my take on these ladoos. We add little semolina to give extra graininess to the taste & texture. Enjoy this festival & staple Indian snack. 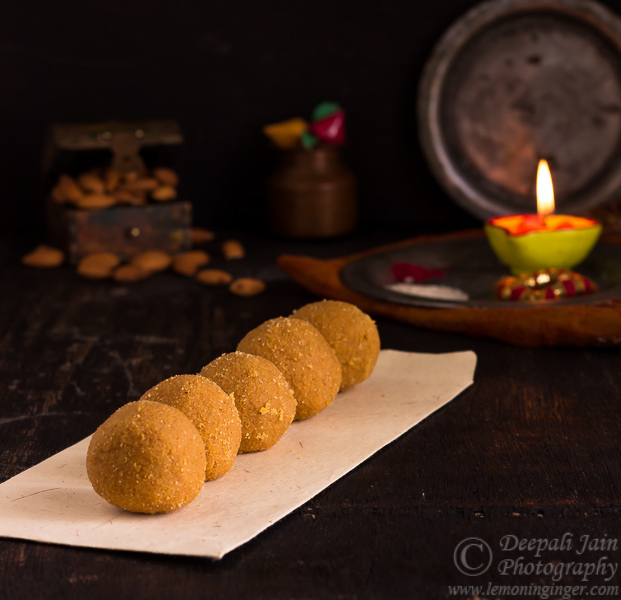 A must have sweet for all Indian festivals and any day. In a thick bottom pan or wok, add ghee & besan. Now roast the besan till it starts emitting nice roasted aroma. Besan upon roasting leaves more ghee, so add ghee accordingly. Remove from pan and keep aside. When it is just lukewarm quickly add in castor sugar. Mix well. Roll small balls using hands. Serve with tea or coffee or as a dessert after dinner.